Apple just announced its new iPhone 5S and iPhone 5C. Both of them are just derivatives of the initial iPhone 5: The 5S is an improved version that offers a much better hardware performance, new camera features (iSight) for better pictures and a Touch ID capability that would allow your home button to read your fingertips to unlock your phone or make a purchase on iTunes. The 5C is just a cheaper version that replaces the aluminum cover with a plastic one available in different flashy colors. While the big improvements in hardware were made last year when Apple shifted from the 4th to the 5th iPhone generation, this year the main advancements are in software through the drastic changes available in the iOS 7 (To know more about the iOS 7). I was a bit afraid of getting disappointed by the next Apple’s smartphone move but, when I look at the iOS7 on an iPhone 5S I should say I am positively surprised. Note 1: The new Apple mobile operating system, iOS 7, which was announced in their previous conference will be available to public on September 18th. Note 2: iWork (Pages, Numbers and Keynote) and iLife (iPhoto and iMovie) apps are now free. A7 processor with 64-bit running capabilities (Twice as fast at both CPU and graphic tasks). M7 motion chip that takes advantage of all the device’s sensors like the accelerometer, gyroscope and compass without using the A7 chip. This means improved battery performance. Battery: 10 hours talk time on 3G, 250 hours standby and 10 hours LTE and WiFi browsing. Camera: f/2.2 aperture, 15% larger active sensor, new flash with over 1,000 unique color variants, auto image stabilization, burst mode (10 frames per second) and 720 HD slow-motion videos at 120 frames per second rate (1080p at 30fps for regular vids). The iPhone 5C is basically a plastic version of the iPhone 5. 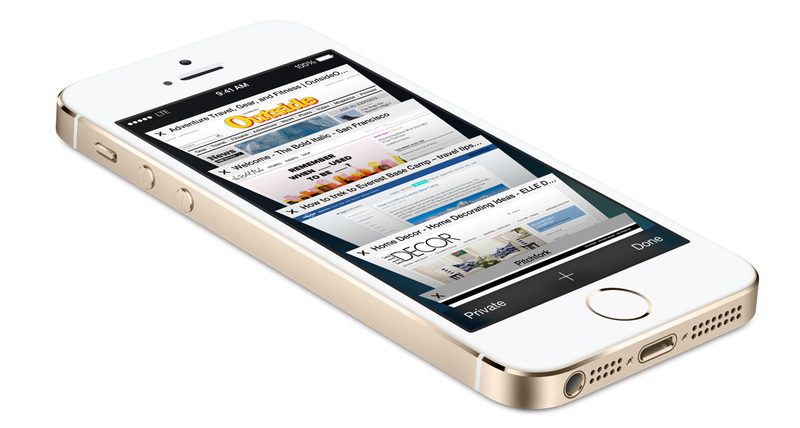 It will be available for cheaper prices than the regular iPhone 5. I believe this was created as part of a new strategy to tap into the asian markets were iPhones are much more expensive than the competitors present there. The booming of that market is undeniable and if Apple still thrives to “conquer the world” it is a must for them to have a good presence there. As matter of proof, they announced that they are planning a launch in China for the first time. The iPhone 5S and 5C will be available in retail stores in the US, Australia and Canada starting September 20th. Previous Post LG Job Interview Meteor Prank: Real Or Fake?